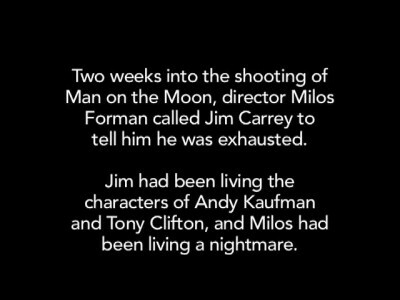 When we shot "Man on the Moon" in 1998 I was in character 24 hrs a day as either Andy Kaufman or Andy's alter-ego Tony Clifton. Luckily, all of it was captured on video. Here is a small slice of some of the behind-the-scene hijinks that occurred when Tony Clifton came to set.